If you needed an auto loan for your last car purchase, you’re certainly not alone. 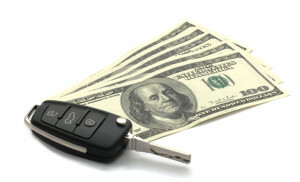 According to a report by Experian Automotive, an automotive resource that keeps track of financing and purchases, Americans have borrowed a record amount of money in the second quarter of 2015. The report estimated that American’s have borrowed $932 billion this year, which is already a $92 billion increase over last year. This total would make for the “largest increase in dollars borrowed for any quarter since 2006,” writes CNBC.com’s Phil LeBeau. As the writer notes, spring is often the season that experiences the most car sales, and between the stretch of March and June, there were two months that saw car sales top 17 million units. If things continue at the same pace, there will be an average of 17.26 millions vehicles sold each month in 2015. To put things in perspective, the average price of a sold car in July was $31,691, as LeBeau passes along. How much money does that translate to in an entire year? Based on my novice calculations, it’d come in around $6,563,839,920,000! 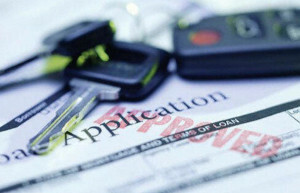 While a variety of different folks are eligible for car loans, the Experian reports says “those with subprime or deep subprime credit scores” were responsible for about 20-percent of the money loaned in the second quarter. Those with “super prime credit ratings” were also responsible for 20 percent. As you can see, there’s no reason to be tentative about acquiring an auto loan. After all, there are clearly a boatload of people who have already borrowed money this year! If you need an auto loan, regardless of the status of your credit score, check out McCluskey Automotive in Cincinnati, Ohio. The helpful staff will work with you to establish an agreeable payment plan.